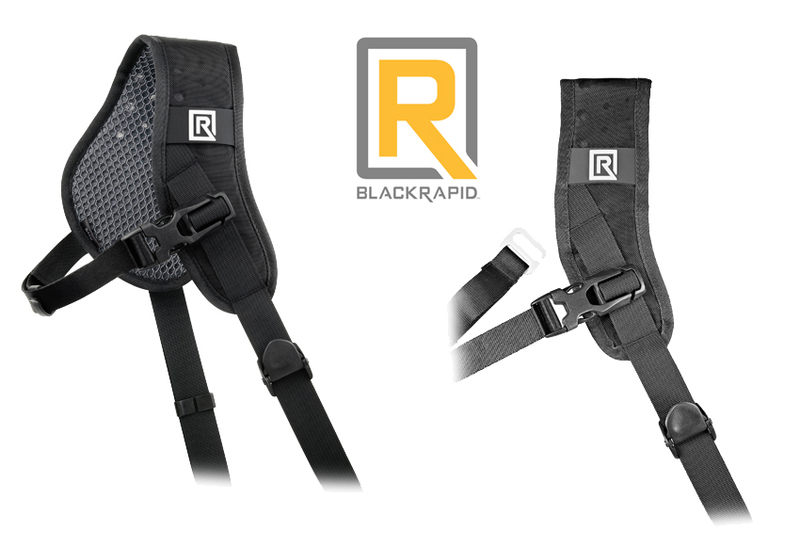 The BlackRapid Sport Left Breathe Camera Strap is designed to be worn across a left-handed user's body, draped from the right shoulder to the left hip. A connected camera can then rest upside-down along the hip so that it can be quickly raised for use. 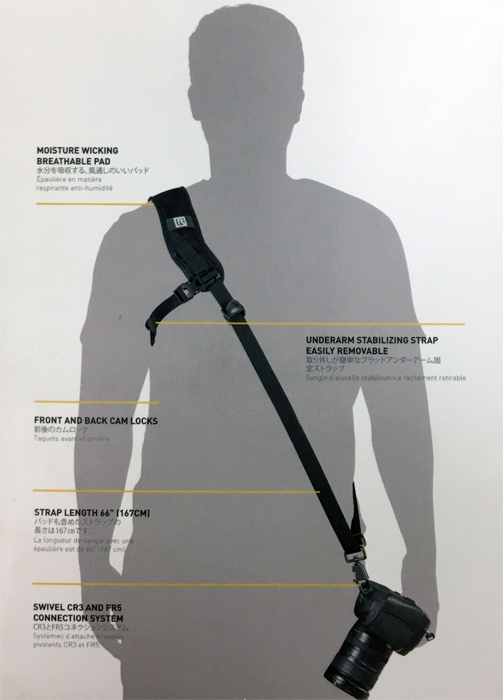 Incorporating a generously-sized, moisture-wicking shoulder pad, this strap is built for the sport or adventure photographer who is carrying one camera and intends to move quickly whether on flat or rugged terrain. To attach to a camera or a lens, the BlackRapid Sport Left Breathe Camera Strap features a durable, brass and zinc-alloy CR-3 ConnectR locking carabiner. An included BlackRapid FR-5 FastenR Breathe creates a connection point using a camera or lens's 1/4"-20 tripod mount. The FR-5 FastenR Breathe has a large, integrated D-ring for easy use with BlackRapid straps that utilize a CR-3 ConnectR. R.